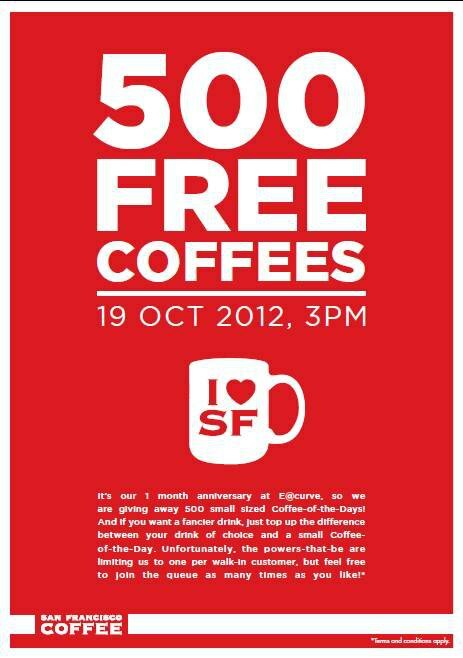 San Francisco Coffee is celebrating their 1 month anniversary at e@Curve! And they are giving away 500 small sized Coffee-of-the-Days! And if you want a fancier drink, just top up the difference between your drink of choice and a small Coffee-of-the-Day. Remember to get your free coffee on this Friday!